Gamblers can be suspicious of how honest the game they are playing is. The house is, after all, seeking to make a profit from people playing the games at their tables. This distrust is often magnified by playing online. With a lot of the underpinnings hidden behind code and security protocols, it is easy to suspect a game is crooked after a run of losses. Like a blast of fresh wind, FancyHash.io cuts through all of that distrust by showing players everything that is going on. Bettors at FancyHash’s roulette table can review game histories, bets, and transaction addresses with a simple click. Furthermore, since FancyHash uses hash codes from the blockchain as its randomizer, people can calculate if the results of a game are legitimate. To make it even easier, the hash code used is prominently displayed at the top of the site. 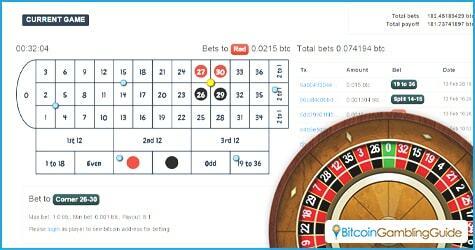 As for FancyHash’s main offering, the rules for the roulette game are easy to understand. Based on European roulette rules, it gives players a 1/37 chance of winning on a straight bet, which is a bet on a single number. The chances increase as players choose bets that cover larger places of the table like split bets, which are bets between two numbers, or line bets, which are bets on an entire row or column. Of course, the wins are lower on these bets, but they are still wins. 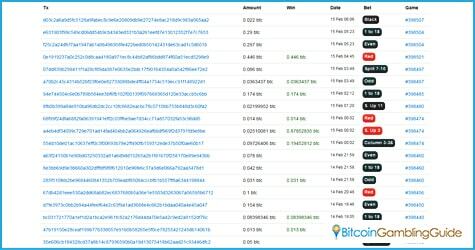 FancyHash.io takes it a step further by releasing how the site determines the winning number, presenting how its game is provably fair. It starts by skipping the null characters in the code from the left plus one except for zero. The next two characters are then changed into a hexadecimal number. The number is further converted to a number base-10. If the result is less than 222, then the winning number will be the remainder of dividing it by 37. If the number is lower than 37, it will be the result. If the resulting number is greater than 222, then the number is discarded and the system moves to the next two characters. It is possible for there to be several winning numbers, depending on the amount of bets that are played in the given block. Knowing this formula gives players the chance to work out if a result is possible or not. It also gives them a chance to predict the winning number in future games, which raises the chances of winning. Hash codes, like any other mathematical result, have a pattern to them. With the history of previous games easily accessible, a knowledgeable gambler can check them out to identify frequently occurring outcomes. With this data, bettors of this blockchain-based game can make reasonable guesses about upcoming results. They will not be 100 percent accurate, not even 50 percent, but they would be higher than without the data. 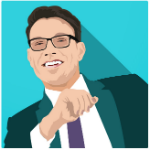 With its transparency, FancyHash.io proves itself a gaming site that people can trust. Gamblers should try a spin or two to see if they can score big in this Bitcoin roulette.